The first time I ever went to a black-tie event in LA, I was blown away by how beautiful the women were. There was so much female beauty, it started to blur together. That was the second thing I noticed: the women kind of looked alike (at least to a visitor from the Bay Area, where the glam factor is not so prominent and plastic surgery not quite so de rigueur). It was as if they were all vaguely related. In that sea of snug designer dresses and perfect cleavage, one woman stood out. Bobbed black hair, a long skirt, boots, turquoise jewelry. She made it all work in a way that would be difficult to copy – it wasn’t a look lifted from a magazine or taken off a storefront mannequin or dictated by a stylist. It was uniquely her, matched to her body type and telling a story of personality unlike anything else in that room. It was, I realize now, my first real lesson in the art of differentiation: how to set yourself apart, how to get noticed in the crowd (and the crowded marketplace). You can fit yourself into the same category as everyone else. Or you can strike out in a direction based on your own instincts, knowledge and self-knowledge – and how you choose to apply that knowledge. This is otherwise known as your voice. Your creative DNA. Your artistic signature. You can’t buy good taste. You can develop an instinctive feel for it – without necessarily knowing how to explain it – or come to it through a more conscious study of aesthetics. Style, on the other hand, is highly personal. If taste concerns what you know, style is how you apply that knowledge and express it to the world. Sometimes it’s enough to be excellent. You’re the smartest kid in your school, the best-looking kid in your town. But what happens when you seek to prove yourself in a lecture hall at Harvard or a casting call in Los Angeles? What happens when everybody has good taste? When excellence is just enough to get you in the room? The more generic something is, the more our eyes skip over it. One of the first things you learn when you learn to write fiction is the importance of the particular and meaningful detail. You can’t get at the human condition through cliché and vagueness and generalities, but the depiction of the highly personal. — when, that is, it is relevant to us. When it resonates. Truth is beauty, and beauty is truth. Good style has the ring of the authentic. Style, then, is how you tell the story of yourself to the world: not just in how you dress, but do what you do and make what you make. Style is your soulprint, your own creative twist on life. It is not some clever affectation that others can copy, but an ever-evolving expression of your passage through the world. It is your specific and highly developed point of view. Master what you need to master. Then raise it to the level of magic by being fully and truly yourself. Beautiful and insightful, as always. :) I think this can be the hardest thing, to move from being the best at something, but still a copy of everyone else, ultimately, and moving on into true ownership of that skill, into a space that is yours alone. Wonderful analysis. Loved this piece. and darling…I have just one thing to say…”You look marvelous!” Fernando Lamas. 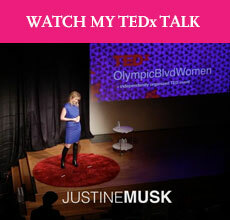 Provocative as always, Justine!